For more than 20 years the winemaking team at Shafer has been fighting TCA on multiple fronts and they’re winning. While Shafer runs an extremely clean cellar, making TCA an infrequent issue, the goal for more than two decades has been 100 percent eradication. TCA is an acronym for the chemical compound 2,4,6-trichloroanisole, which is responsible for the aromas and flavors often called “corkiness” in wine or “cork taint,” though if a winemaking team only looks at corks, they will miss many other places it can hide. TCA is a compound that is most at home in porous organic substances such as wood, cork, and cardboard — materials that are found in abundance in the traditional wine cellar. “The first thing we did was to eliminate as much wood as possible from our cellar,” says Fernandez. One of first things to go was the use of wooden pallets for storage. Shafer uses plastic pallets throughout the facility. 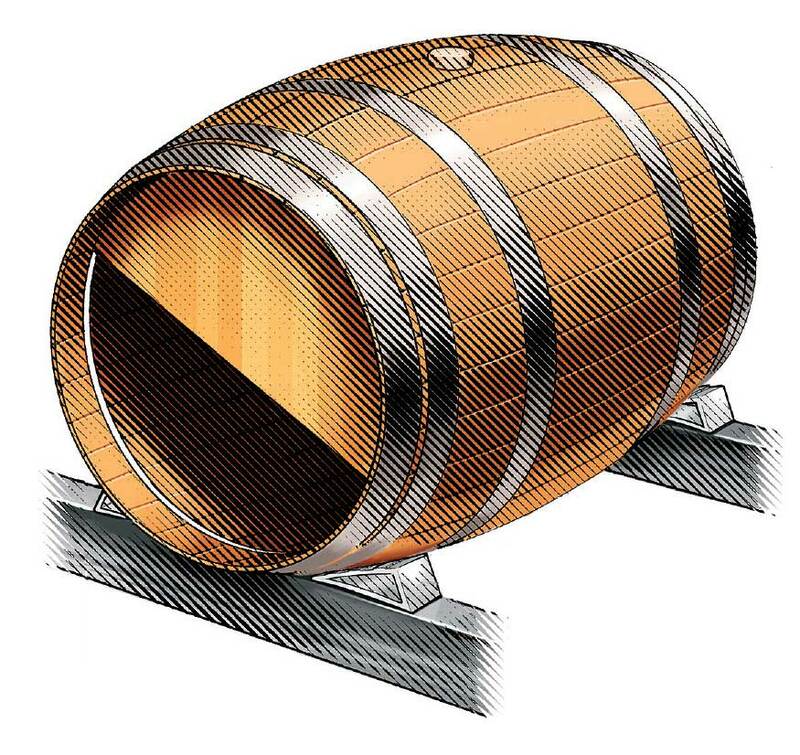 In addition, in the cellar all the wooden barrel racks were replaced with stainless steel and the wedges used to hold barrels in place were replaced with new ones made from aluminum. Because TCA is a compound formed in the presence of chlorine, the winery also stopped using chlorinated water and found new ways to sterilize tanks and equipment. The most recent advances in this battle come from a new approach to corks and barrels. In two of our wines — Red Shoulder Ranch Chardonnay and Merlot — Shafer has moved to corks produced by French company Diam. The manufacturer grinds natural cork, and using a process like that of removing caffeine from coffee beans, purifies the cork of contaminants at the molecular level. This material is re-formed into a wine cork and Diam guarantees them to be TCA-free. While Shafer has tested Diam corks for seven years and finds them to be free of TCA taint, how do they hold up over 10 or 20 years? We don’t yet know. In the meantime the natural cork industry now offers traditionally made wine corks that are individually tested for the presence of TCA. 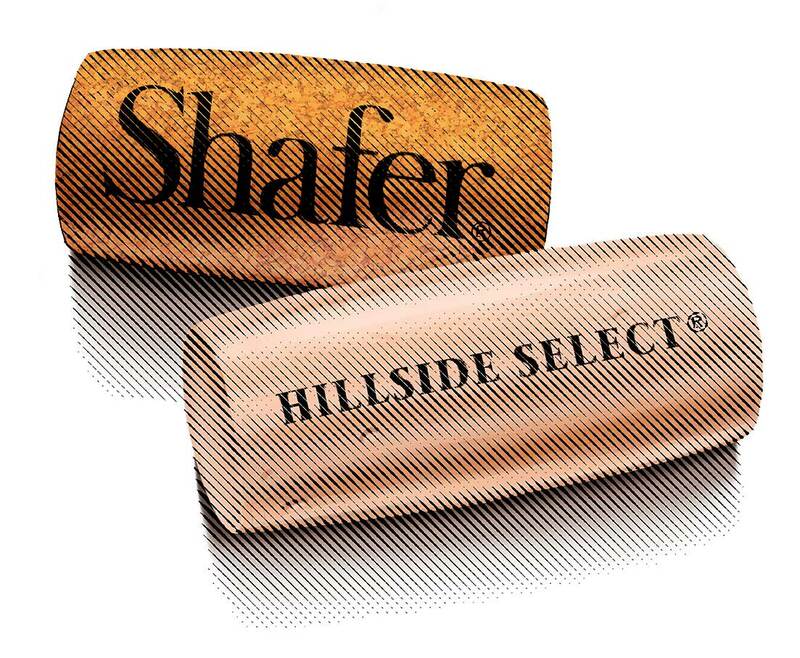 Shafer is now using these corks in wines that customers tend to age the longest — Relentless, One Point Five, and Hillside Select. A few years ago Elias Fernandez identified a source of TCA hidden in the process of traditional barrel making. “The two main parts of a wine barrel are the body, made of staves, and at each end there’s a round wooden piece called the head. The head seats into a round groove cut inside the staves and traditionally a seal is created there using a flour paste — essentially bread dough,” says Fernandez. When barrels would arrive at the winery, Elias would check each one, first smelling each to see if he could detect TCA and then running a light around the interior. Over time he began to realize that the flour paste used to seal the grove where the staves met the head was a problem. He found instances in which mold had developed inside the barrel thanks to the presence of the flour paste. He strongly suspected that when he did find the scent of TCA inside an otherwise clean-looking barrel, the flour paste was offering a hiding place for it. But getting barrel makers to change decades, if not hundreds of years, of tradition proved difficult. One barrel maker, Demptos in Napa, listened to Elias’s reasoning and developed a system for sealing their barrels with a neutral paraffin wax as a replacement for the flour paste. Jamieson, master cooper/managing partner, Demptos Napa Cooperages. At Shafer, Elias agrees it’s been a successful change. “My hope is that I will get the other barrel makers we work with to move in this direction too,” he says.